VEEAMON, CHICAGO, IL: May 15, 2018: Veeam® Software, the leader in Intelligent Data Management for the Hyper-Available Enterprise™, today unveiled a new, key component of Veeam Hyper-Availability Platform - Veeam DataLabs™. A form of copy data management, Veeam DataLabs allows organizations to easily create new instances of their production environments on-demand. This capability enables use cases beyond typical data protection scenarios, such as DevTest, DevOps, and DevSecOps, and including security and forensics testing, and on-demand sandboxes for IT operations – delivering value to the business in the form of accelerating innovation, improving operational efficiencies, reducing risk and optimizing resources. Veeam DataLabs takes the functionality of Veeam’s Virtual Labs—enabling production-like instances of virtual environments on-demand—and expands on it with additional use cases and business value. These isolated “sandboxes” leverage existing data to accelerate innovation and to reduce risk. Veeam DataLabs takes the core components of backup and replication from being a reactive insurance policy to a proactive value-added service for the enterprise. Efficiencies are gained by capturing data once by way of the data protection process, and then repurposing that data on demand for new use cases, potentially by new users, to unlock the potential value of that data. Veeam DataLabs enables a self-service method for developers to dynamically spin up instances of the production environment as they design new features. This provides a way to accelerate the pace of digital service delivery and ensures that teams are developing and testing with the most recent copies of data. Veeam DataLabs also provides sandbox environments for IT Operations to test new patches and updates before they are rolled out across the company. The Security and Forensics team may use copies of the data to test for security vulnerabilities without disrupting the production systems, or for performing forensics on an event that was picked up through their security incident and event management platform. Finally, Compliance and Analysis groups can examine and classify data for capacity planning purposes, and to help comply with regulations such as GDPR. Veeam DataLabs enables all of these scenarios without disrupting production systems or requiring more infrastructure. In addition, Veeam DataLabs leverages the Universal Storage APIs to integrate with Veeam’s storage partners. The same snapshot integrations enabled through these APIs, which also accelerate data protection capabilities, can be leveraged with storage partners like Cisco, HPE, IBM, NetApp, Pure Storage and others to provide an even more efficient way to deliver this added value. 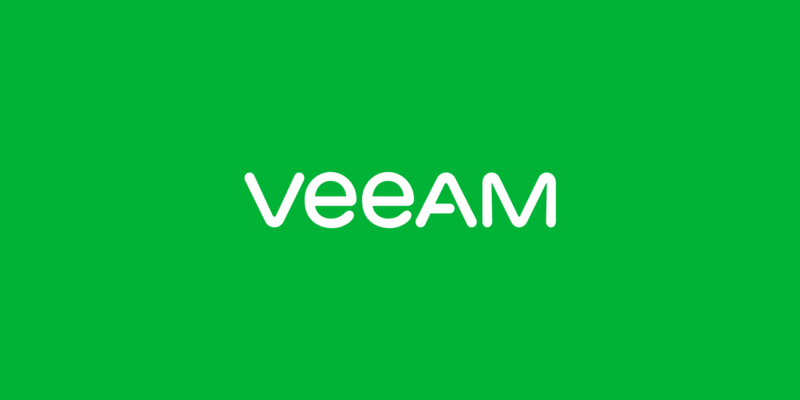 “Veeam Hyper-Availability Platform is the only way to enable faster reaction times to any business need, reach multifold improvements in efficiencies and deliver the agility to meet evolving customer demands; Veeam DataLabs is a perfect example of how we are expanding our data management capabilities, going beyond Availability and innovating to meet the needs of the Hyper-Available Enterprise,” added Allan. For more information on Veeam’s vision for the Hyper-Available Enterprise, please visit www.veeam.com.